Good news. The new Metro Line M7 Bowen Road (博文路) Station has started construction. The construction site has been cleared and the west lanes of the Jin Xiu Road has been switched to the other side of the road to give way to the construction site. The workers are migrating the electronic cables to allow futhure construction of the Metro Line #7. It is said the whole line will start to construct at the begining next year and will be completed by the year of 2008 or 2009. It is very good news for me. My Pudong apartment is 7 minutes away from this station. The M7 will goes from this station to the east and connect to the Maglev. 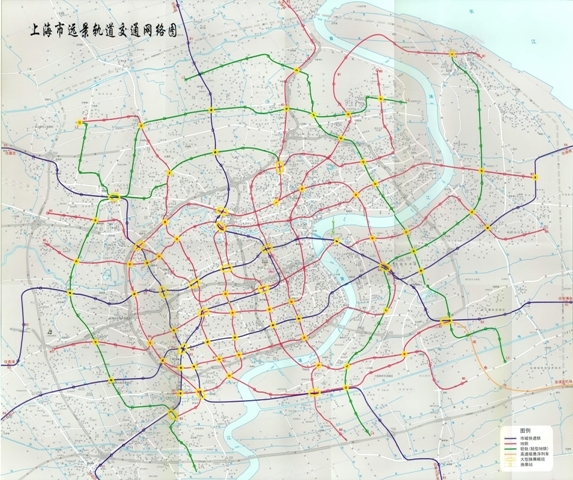 To the west, it will first go through the Shanghai Expro 2004 site and goes to Puxi near Xujiahui. I will drive to Lin An, a small town west of Hangzhou tomorrow with Wendy, my father, Wang Chen and his girl friend Zhao Xia. It is about 4 hours away from Shanghai and I need to arrive Hangzhou first and the head to west. The winter is coming. Wendy thought of the idea to go outing before it is too cold to go out. Wang Jianshuo, I took a picture today of the signs at the Shanghai Stadium Line 1 metro stop. The the sign that said “This direction to Xinzhuang Station” is now painted over in white. I wonder why. Does this have to do with the new Line 5? I thought that Line 5 was separate from Line 1. 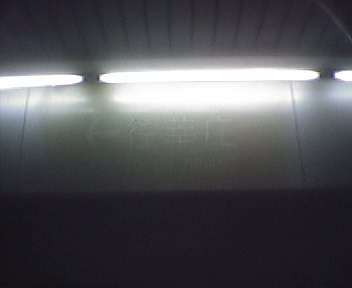 It was also clear from the painted-over sign that the southern end station of Line 1 used to be Jinjiang Park station. Interesting. I heard they are planning to connect Metro Line 1 and Metro Line 5 together at XinZhuang. Passengers still need to get off and get on board a new train, but no need to buy tickets seperately. I didn’t hear anything new about this until I saw your photo. I guess it may be related to this idea. Until today, no changes. I still have to “sign in and out” every time.